Ipoh Echo’s EYE HEALTH series continues with Consultant Eye Surgeon Dr S.S. GILL talking to us about MEDICATION THAT CAN AFFECT THE EYES. Our eyes are sensitive to things around us including the foods and medication we are taking. Not all blurring vision is caused by an illness or disease. It can also be caused by certain medication that you may be taking. Taking medication for a particular illness or ailment may be a must at some point of our lives. The organs and systems in our bodies are closely linked-up in an extensive network and so it is common that some medication may affect our eyes. Different medication can result in different side effects including visual side effects, some more serious than others. It all depends on the type of medication and the duration of use. The list of medication that may cause blurring vision and eye side effects are many. Your physician will be in the best position to know whether you need to take the medication or not. He will be able to put you on alternative medication should you suffer a side effect. Most medications cause only temporary visual disturbances and usually disappear over time once the medication is stopped. Always discuss your medication with your physician and inform him if you have any unusual eye symptoms. Should your physician need to prescribe a medication associated with potentially serious eye effects, you will often be referred to the eye doctor for your eyes to be closely monitored. This is because some long-term medication may result in serious vision disorders. The range of medication that may cause side effects may be anything from simple OTC (over-the-counter) medication to prescription drugs. Medication commonly obtained from the local pharmacy like antihistamines, which are used to treat a runny nose (rhinorrhea) and allergies may cause light sensitivity and dry eyes. If you are on antihistamines, keep these side effects in mind. In most cases, the side effects are temporary and can be resolved by reducing the dosage amount or discontinuing use of the medication altogether. There is a fairly long list of medications that may cause side effects. Some of the most common drugs associated with vision problems include medication like anti arrhythmia heart medication such as amiodarone (Cordarone) and digoxin (Lanoxin); antimalarial drugs such as chloroquine (Aralen) and hydroxychloroquine (Plaquenil); corticosteroid medication, erectile dysfunction drugs like sildenafil (Viagra), tadalafil (Cialis), vardenafil (Levitra), phenothiazines like chlorpromazine and thioridazine, breast cancer medication like tamoxifen, prostate medication tamsulosin (Flomax). Every medication may have side effects but the decision on whether you need it is BEST DECIDED by your physician after weighing the benefits against the side effects. Also, NOT every person will develop side-effects! It is very important to keep your doctor informed about any OTC medication that you may be taking including any vitamins and herbal products. If your regular physician has put you on a prescription drug, always take note of the medication on paper. Should you need to see another doctor for another ailment, you must inform him too of these regular medications you are on. This will avoid unnecessary avoidable problems from drug interactions. Dr Gill will speak more on this in the next issue of Ipoh Echo. For more information, call Gill Eye Specialist Centre at Hospital Fatimah (05-545 5582) or email: gilleyecentre@dr.com. Glaucoma as you know has been nicknamed the “silent thief of sight”. This disease results in permanent irreversible blindness in the affected eye(s) that often goes without symptoms until the loss of vision is significant or the patient is blind. Early diagnosis means early treatment and therefore prevention of major loss of vision. 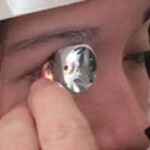 Diagnosing glaucoma may require elaborate testing to be done by the eye doctor. risk for glaucoma. It is important to understand that having eye pressure higher than normal does not mean a definite diagnosis of glaucoma. The test is done by first instilling some eyedrops to numb the eye. Following that, the eye pressure (IOP) will be measured using a Goldmann tonometer. Sometimes an air-puff tonometer is used but this is less accurate than the Goldmann tonometer which is the gold standard in measurement. doctor to diagnose the kind of glaucoma a person may be suffering from in order for the correct treatment to be given to the patient. An instrument called an ophthalmoscope or Fundus Imaging Camera is used to examine the optic nerve. The appearance indicates whether or not damage from glaucoma is present. It is important to examine the optic nerve from time to time, in order to look for progression of nerve damage due to glaucoma. The picture on the left shows a normal optic nerve (optic disc). The picture on the right shows the damage that occurs to the optic nerve or optic disc due to glaucoma (indicated by the arrows). Dr Gill will elaborate more on the eye tests that are done for glaucoma in the next issue of the Ipoh Echo. For more information, contact Gill Eye Specialist Centre at 05-5455582, email: gilleyecentre@dr.com or visit www.fatimah.com.my. We continue our part 4 interview with Dr. S.S. Gill, Consultant Ophthalmologist at Hospital Fatimah about Diabetes Mellitus and eye complications. It is estimated that 1.4 million Malaysian diabetics are walking around unaware that they have diabetic retinopathy that can lead to total blindness. A lot of times this is because of poor awareness of the complications of diabetes mellitus. What are the other steps that diabetics can take apart from the regular eye checks that you have suggested in order to help reduce their risk of developing diabetic eye complications? Good control of diabetes mellitus is the key to slowing down the complications of diabetes mellitus in the eye as well as to other organs. The best way to know whether your blood glucose control is good is to measure your blood glucose levels frequently at home with a glucose monitoring machine called a glucometer. Keep a small booklet and write down blood glucose results in a tabular fashion with the date, time of blood check, and whether the test was done fasting or after a meal. Do indicate in the booklet, the time of the last meal before the check was done. Better still, indicate the kind of meal that was taken. Do show this booklet to your physician when you go for your regular diabetic follow-ups. This booklet with the readings tabulated gives a lot of information to your physician should he need to adjust your diet or your diabetic medication. Many diabetics make a mistake of only checking fasting blood glucose levels. Fasting blood glucose levels alone is not reflective of the actual blood glucose control. Check blood glucose measurements at different times of the day and even 1 or 2 hours after a meal. Even a random blood glucose reading is helpful – it’s really like doing a spot-check on the patient, says Dr. Gill. It is also important to have other special blood tests that reflect 3-month blood glucose readings. This test is called haemoglobin A1C (HbA1c). The test is recommended to be done every 3 to 6 months. It is recommended that people with diabetes maintain an HbA1c level below 7%. Studies have shown that for every 10% reduction in elevated HbA1c levels, there is an associated 39% reduction in the risk of diabetic eye complications. Dr. Gill adds that another step that can slow down the progression of diabetic eye complications is good control of blood pressure or hypertension. High blood pressure (hypertension) can also damage blood vessels in the nerve of the eye (retina) and can cause diabetic eye disease or retinopathy to progress. Research shows that keeping blood pressure as close to normal as possible can help prevent the onset and progression of retinal damage. Experts recommend that people with diabetes keep their blood pressure at or below 130/80 mm Hg to prevent long-term eye complications. Here too, self-measurements of blood pressure is useful in helping your physician who is monitoring and managing the diabetes mellitus. Next issue: more tips on how diabetics can reduce their risk of developing eye complications and what to expect during an eye examination. For more information, contact Gill Eye Specialist Centre at 05-5455582, or email gilleyecentre@dr.com. In Ipoh Echo’s series on Eye Health, we continue our interview with Dr. S.S. Gill, Consultant Ophthalmologist at Hospital Fatimah about Diabetes Mellitus and eye complications (diabetic retinopathy). “The moment a person with diabetes notices any impairment in his or her vision, it may already be too late, because it often means that some form of complication of diabetes mellitus may have already affected the eyes” said Dr. Gill. Almost all people with type 1 diabetes and more than 70% of people with type 2 diabetes will experience some degree of diabetic retinopathy. Without treatment, diabetic retinopathy can progress from mild, nonproliferative retinopathy to more serious proliferative retinopathy, which can lead to blindness. Who Is At The Most Risk For Diabetic Retinopathy? Patients with fluctuating blood sugar levels (poor control) and those with long-term (duration) diabetes. Essentially, people who have uncontrolled blood glucose levels and those who have had diabetes mellitus for more than five years are especially at risk. What are the steps that diabetics can take to help reduce their risk of developing retinopathy or having their retinopathy progress? 1. Have Regular Eye Exams. 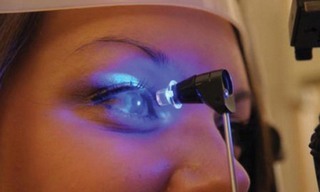 Regular visits to an ophthalmologist are essential to detect early eye damage . This is so it can be monitored and if necessary, treated with laser therapy. Even controlled diabetes can lead to diabetic retinopathy, so you should have your eyes examined once a year; that way, your doctor can begin treating any retinal damage as soon as possible. An annual eye exam is recommended for people who have had type 1 diabetes for more than five years. Everyone with type 2 diabetes should have an eye exam as soon as diabetes is diagnosed, and annually thereafter. Women with type 1 or type 2 diabetes who plan on getting pregnant should have one prior to conception and subsequently one every trimester till the baby is delivered and annually thereafter. 2. Control Blood Glucose. The most important way to prevent diabetic retinopathy is to keep blood glucose levels as close to normal as possible. This is because high blood glucose levels can damage blood vessels in the retina (nerve at the back of the eye). The best way to achieve tight glucose control and reduce your risk of developing eye complications like diabetic retinopathy is to measure your blood glucose levels frequently at home with a glucose monitor (glucometer) and to follow the advice of a doctor who manages diabetes aggressively. Keeping your blood sugar at an even level can help prevent diabetic retinopathy. Having smaller meals but more frequent meals is much better than having large food intake at meal times because this causes large spikes of blood glucose levels that can result in organ damage including eye damage. More on steps that diabetics can take to help reduce their risk of developing retinopathy in the next issue of Ipoh Echo. For more information, contact Gill Eye Specialist Centre at 05-5455582, or email: gilleyecentre@dr.com. In our continuing series on Eye Health, we interview Dr S.S. Gill, Consultant Ophthalmologist at Hospital Fatimah about Diabetes Mellitus and blindness. Dr. Gill shares with us about patients like Jennifer (not her real name) who was doing household chores at home one day when suddenly her vision blurred. Within minutes, she was nearly blind. Prior to this, Jennifer, who is diabetic, was already having blurring vision for about a month but did not seek any treatment because she did not expect to lose her eyesight so suddenly. She remembers vaguely when she picked up her regular diabetic medication that her general practitioner had told her in passing to go for an eye check but she did not think much of it then. Now she wishes her GP had put more pressure on her to go for an eye check so she would not have lost so much of her eyesight. This is a common story that Ophthalmologists often hear in their consultation rooms. 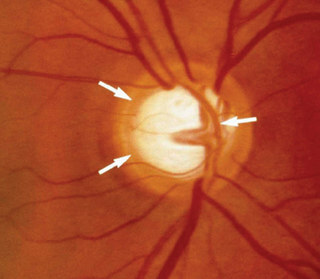 Diabetic retinopathy—damage to the blood vessels in the retina. Cataract—clouding of the eye’s lens. Glaucoma—increase in fluid pressure inside the eye that leads to optic nerve damage and loss of vision. Diabetic Retinopathy is the most common of all the Diabetic Eye Diseases and the leading cause of blindness. It is caused by changes in the blood vessels of the retina. In some people with diabetic retinopathy, blood vessels leak fluid. In other people, abnormal and weak new blood vessels grow on the surface of the retina and these vessels bleed. 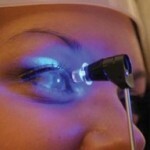 “If you have diabetic retinopathy, at first you may not notice changes to your vision. But over time, diabetic retinopathy can get worse and cause vision loss,” says Dr. Gill. Stage 1: Mild Nonproliferative: There is ballooning of small vessels in the retina’s tiny blood vessels. At this stage there are no symptoms and vision remains normal. Stage 2: Moderate Nonproliferative:. 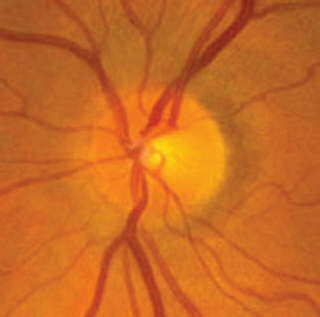 As the disease progresses, some blood vessels that nourish the retina become blocked. At this stage, again there may not be any symptoms even though the diabetic eye complication is progressing. Stage 3: Severe Nonproliferative: With vessel blockage, several areas of the retina becomes deprived of blood supply. These areas of the retina send signals to the body to grow abnormal new blood vessels for nourishment. 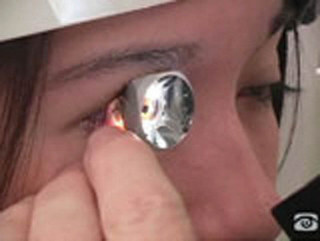 The patient will start having blurring vision and will require urgent treatment. Stage 4: Proliferative Retinopathy. This is the advanced stage where new blood vessels grow and bleed profusely. If they leak blood, severe vision loss and even blindness results. According to Dr. Gill, the main aim is to pick up diabetic eye problems early in stages 1 and 2, and to avoid regressing into stages 3 and 4. Regular eye exams for diabetics offer the best chance of detecting retinopathy in its treatable stages.